JMW Turner, Rome, from the Vatican Exhibited 1820. © Tate. LONDON.- Turner and the Masters will present a selection of magnificent paintings by JMW Turner (1775-1851) alongside related works by the old masters and contemporaries he hoped to imitate, rival and surpass. Bringing together around one hundred works of supreme historical significance from collections around the world this will be the first exhibition to look at Turner’s work in the company of the greatest painters in the preceding history of western art. It will reveal his debts and rivalries in exciting, even unpredictable, ways, and explore his reputation as one of the greatest painters of landscape in the European tradition. The exhibition will pair Turner’s works with major paintings by his predecessors, many brought together for the first time, including works by Canaletto, Claude, Cuyp, Poussin, Rembrandt, Rubens, Ruisdael, and van de Velde. There will also be pairings with paintings by Turner’s most important contemporaries such as Constable and Bonington. It will show how Turner’s responses to other artists were both acts of homage and a sophisticated form of art criticism, designed to demonstrate his understanding of great art and his ability to equal and even outshine the most celebrated exponents of the landscape tradition. The exhibition will include comparisons such as Rembrandt’s Landscape with the Rest on the flight into Egypt 1647 (National Gallery of Ireland) displayed with Turner’s Moonlight, a study at Millbank Exh. 1797 (Tate); Rubens’s Landscape by Moonlight 1635-1640 (Courtauld Institute of Art Gallery) shown with Turner’s Forest of Bere 1809 (Tate); Claude’s Moses saved from the Waters (Prado, Madrid) with Turner’s Crossing the Brook exh.1815 (Tate); Ruisdael’s A Rough Sea at a Jetty 1650s (Kimbell Art Museum) alongside Turner’s Port Ruysdael exh.1827 (Yale Center for British Art, New Haven); and Poussin's Landscape with a Roman Road (Dulwich Picture Gallery) paired with Turner’s Chateaux de St Michael, Bonneville, Savoy, exh. 1803 (YaleCenter for British Art, New Haven). For the first time since they were shown together at the Royal Academy exhibition in 1832 Turner’s Helvoetsluys exh. 1832 (Tokyo Fuji Art Museum, Japan) will be united with Constable’s Opening of Waterloo Bridge exh. 1832 (Tate). When the works were originally shown Turner famously added a red buoy to his seascape during the ‘varnishing’ period before the exhibition opened, apparently in order to compete with the bright reds of Constable’s adjacent work. Constable reportedly told a friend “Turner has been here and fired a gun”. 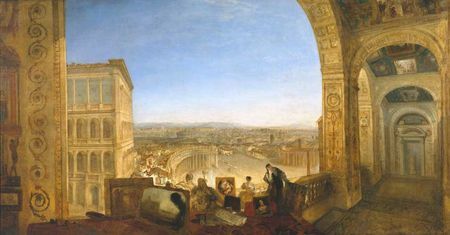 It was Turner’s strategy, almost uniquely within the history of European art, to enter into direct competition with artists both past and present, whom he considered as worthy rivals to his own fame. Turner built his reputation as an oil painter by challenging the works of old masters, deliberately producing paintings that could hang in their company. Often admired as an independent genius, he was in fact deeply engaged with the works of other artists. 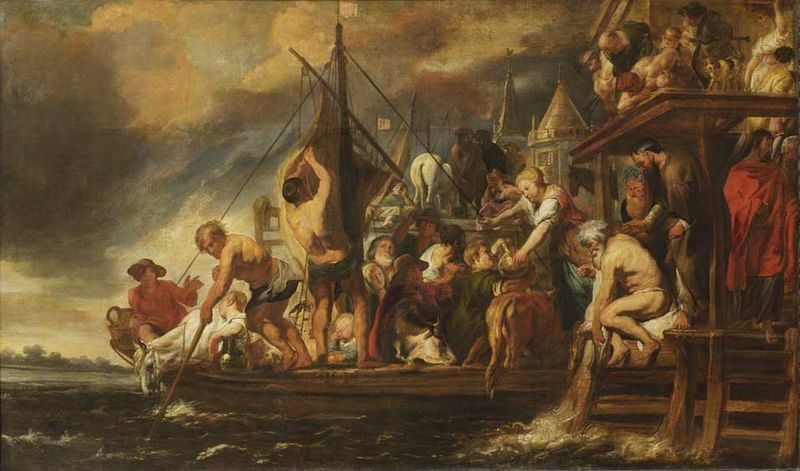 He studied the works of old masters, particularly those of the seventeenth-century landscape painter Claude Lorrain. Joseph Mallord William Turner is regarded as being among the greatest artists in history, whose work was prolific and varied including drawings, prints, watercolours and oils. Born in London, Turner was the son of a barber of humble means. He entered the Royal Academy Schools in 1789 at the age of 14 before becoming a member of the RA in 1802 and Professor of Perspective in 1807. Turner and the Masters has been conceived by David Solkin, Professor of the Social History of Art at the Courtauld Institute, University of London. The exhibition is co-curated by Ian Warrell and Martin Myrone, curators of 18th- and 19th- century British Art, Tate, supported by Philippa Simpson, a Tate-funded doctorial student at the Courtauld Institute. 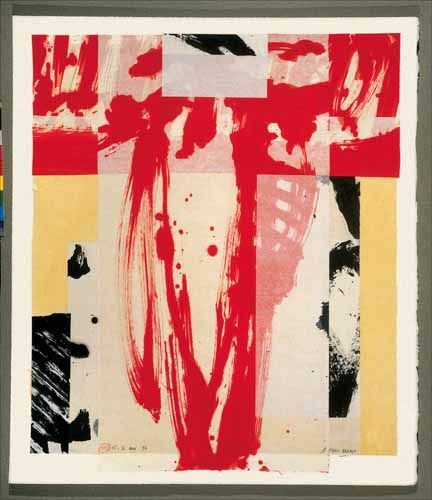 A fully illustrated catalogue will accompany the exhibition, published by Tate Publishing. The exhibition will tour to Le Grand Palais, Paris, from 22 February to 23 May 2010, and to the Museo del Prado, Madrid, from 22 June to 19 September 2010.